Earlier this year, physicists at the Laser Interferometer Gravitational-wave Observatory (LIGO) reported that they had detected gravitational waves for the first time—a century after Einstein predicted their existence. 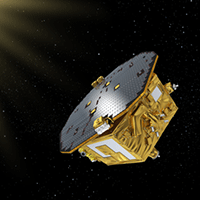 And on June 7th, researchers announced the first results from LISA Pathfinder, the exploratory mission designed to demonstrate the technological feasibility of future space-based detectors of gravitational waves. 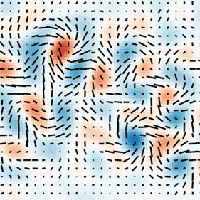 Discover more about these fascinating studies and related investigations in this collection of articles from the archives of Physics. 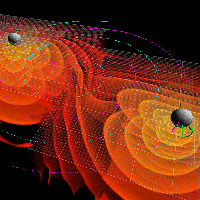 As Emanuele Berti explains in a Viewpoint, LIGO’s historic detection of gravitational waves from two merging black holes set the course for a new era of observational astrophysics. In a Viewpoint, David Reitze describes the first scientific results from LISA Pathfinder, which demonstrated that two test masses can be put in free fall with a relative acceleration sufficiently free of noise to meet the requirements needed for space-based gravitational-wave detection. 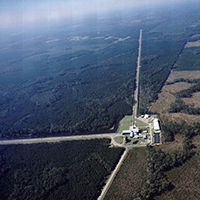 Franz Pretorius details in a Viewpoint how the gravitational-wave signal observed by LIGO has been used to test general relativity in the strong-field regime. As Mark Buchanan explains in a Focus story, if the black hole merger detected at LIGO isn’t unusual, the background noise coming from distant mergers across the Universe might be as much as 10 times greater than expected. 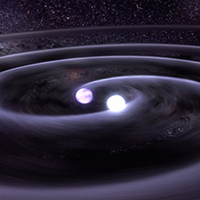 Detecting this background signal could help scientists understand how black hole binaries form. In 2014, the BICEP2 collaboration reported that they had possibly detected gravitational waves associated with inflation of the early Universe. A further analysis revealed that this evidence—a slight polarization in the cosmic microwave background—was caused by a more mundane source: interstellar dust. Lawrence Krauss describes BICEP2’s initial report and Nils Halverson discusses the subsequent analysis. Read the Viewpoint by Krauss. Read the Viewpoint by Halverson. 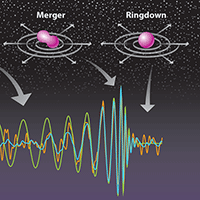 In a Viewpoint, Robert Spero explains simulations that predict the frequency range and amplitude of gravitational waves from the merging of two neutron stars. 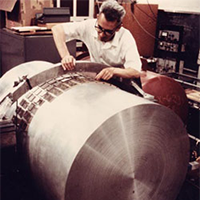 In 1969 and 1970, Joseph Weber reported that he had discovered gravitational waves. As David Lindley writes in this historical Focus story, the findings later proved to be erroneous, but they inspired the efforts that ultimately led scientists to detect the waves.